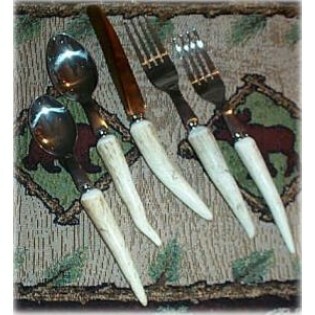 Each five piece antler flatware set includes, dinner knife and fork, salad fork, soup spoon and teaspoon. 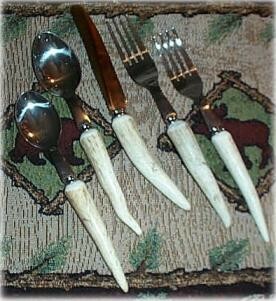 Each handle features real antler. Boxed.